After a long and busy week, I was still able to slip in some time to write my review of the Canon PowerShot SX20 IS. The PowerShot SX20 is an evolutionary upgrade to last year’s SX10, featuring 12 megapixels, a flip-out and twist LCD screen, full manual controls and now, a 720p HD movie mode. You can also check out photos taken straight out of the camera in the Canon PowerShot SX20 IS photo gallery. What are you waiting for? Hit that link for the full review of the Canon PowerShot SX20 IS. The PowerShot SX20 is Canon’s newest super-zoom digital camera. It’s not a huge jump from its predecessor, the SX10, but the PowerShot SX20 IS adds in a couple of small improvements that some may or may not find useful – such as 12 megapixels of resolution (up from ten on the previous camera), a 720p HD movie mode, mini HDMI port and a new ‘hints and tips’ feature. Should the Canon PowerShot SX20 be your next camera during this holiday season? Let’s have a look now! The PowerShot SX20 measures exactly the same dimensions as the 10 megapixel SX10. Most of the competitors remain unchanged since the SX10 due to different release times (the SX10 announced last fall is already a year old, while most of the competition, released earlier this year, is barely 6-9 months old). The PowerShot SX20 is average in size for a super-zoom camera but a good 100 grams heavier than the group average. Is that a big difference? Not really, in my opinion, if you’re going to be slinging the camera around your neck/shoulder or in a bag, the difference is not very noticeable and shouldn’t bother most people. During my time with the PowerShot SX20, I also had the Panasonic Lumix FZ35 super-zoom with me so let’s take a little break for me to talk about how I felt about each camera ‘in-hand’. The Panasonic is about 200 grams lighter (and smaller too) and the camera certainly felt more comfortable to carry around. I did, however, prefer the Canon SX20’s heftier body for telephoto shooting – the Panasonic FZ35’s lightweight felt a little ‘wobbly’ and not as reassuring (but that’s just me). The PowerShot SX20 doesn’t come with any memory, at all, so you’ll have to use your own memory card (or shop for one). The SX20 takes SD/SDHC cards as well as MMC’s. I would recommend sticking to SD/SDHC since they’re typically faster and available in larger in capacities versus MMC. And while we’re at that, I’d suggest making the card high-speed too since the PowerShot SX20 can perform faster using one. A 4 GB high-speed SDHC is a good place to start in terms of capacity/speed – it can hold quite a bit of data and write movies into the card quickly. The Canon PowerShot SX20 IS uses 4 AA batteries but comes with a set of non-rechargeable alkaline batteries. I’ve got both good and bad news: Good news is the bundled batteries will last for quite a while before dying (rated to 340 shots); BUT they’ll eventually run out of power and end up in the trash anyway. You’ll have less trouble with most of the competition which comes with proprietary batteries (and a charger), though AA batteries are way more versatile (you can find them anywhere and they’re usable on a wide range of devices). With the PowerShot SX20, you’ll have to get a set of rechargeable AA NiMH batteries and a charger yourself. With rechargeable batteries, the Canon PowerShot SX20 trumps the competition with a class-leading 600 shots per charge (just like the SX10). The list of accessories available for the Canon PowerShot SX20 IS is just as short as the one for the PowerShot SX10. You can attach an external flash to the camera but not conversion lenses or filters. The official flash units from Canon are the 270EX, 430EX series and 580EX series models. You can also opt for third party flash units, but only Canon models will sync automatically with the camera. Other than that, you’ll find optional rechargeable AA batteries and charger, an AC adapter and various camera cases for the PowerShot SX20. One new accessory available for the Canon PowerShot SX20 is a HDMI cable so you can hook it up to your high-definition television set via the new mini HDMI port on the camera. The use of HDMI cables is becoming more common nowadays, and they’re non-proprietary (means you can use them on other devices too), but they’re still on the expensive side. Like its predecessor, the Canon PowerShot SX20 is a sturdy, good looking super-zoom camera. You’ll be hard-pressed to spot the differences between the SX10 and SX20 actually – besides the megapixel/model badge changes and new mini HDMI port on the right; they’re essentially the same camera. The camera is nicely built and easy to hold with a large, rubberized lens barrel and partially-textured grip. There are plenty of buttons on the PowerShot SX20, making it seem a bit daunting at first for beginners but a positive thing in the long run since most functions are easily accessible. One thing that hasn’t changed for the better is the command dial on the back: its lack of tactile “clicks” makes it difficult to judge how many stops you’ve changed without looking at the screen. Above the lens is the PowerShot SX20’s manual popup flash. The flash here is even more powerful than the one found on its predecessor. At wide-angle, it covers a range of 50 cm to 6.8 m, shrinking to 1.0 to 3.7 m at telephoto (Auto ISO). If that isn’t enough power, you can attach an external flash to the Canon SX20. Then there are the just three round circles above the lens: they are the PowerShot SX20’s stereo microphones and the autofocus assist/self-timer countdown lamp on the right. The PowerShot SX20 does NOT support wireless remote control (and there’s no remote receiver here), unlike the SX1. The Canon PowerShot SX20 IS has a flip-out and rotate LCD screen. It measures 2.5 inches diagonally and sports a resolution of 230,000 pixels. What’s great about the LCD is that you can flip it out and then rotate it upwards for ground shots or downwards for taking pictures above head level. You can even face the screen to the front for self-portraits or ‘close’ it inwards to protect it when not in use. The screen is pretty sharp with good visibility in low-light and just average visibility outdoors. Directly above the LCD is the electronic viewfinder which comes in handy when you want to steady the camera against your eye or improved visibility outdoors. The EVF has 230,000 pixels so it’s as sharp as the LCD. It also has dioptric correction, adjustable via the knob next to the viewfinder. To the left of the EVF is the print button which also serves as a shortcut button; it can be assigned to a function of your choice in shooting mode. I’ve got a full list of functions you can assign to the shortcut button later on in the review. To the other side of the viewfinder is the dedicated movie button. Using this button, you can start/stop movie recording anytime, regardless of shooting mode. Next to the movie button is an empty bit of space where your thumb can go while holding the camera. At the upper right corner of the PowerShot SX20 are three buttons; the upper-most button is for entering playback. The other two are for exposure compensation/playback jump and focus point selection/delete photo respectively. The SX20’s exposure compensation covers the usual +/-2 EV, adjustable in 1/3 step increments. The Canon PowerShot SX20 IS has a Face Self-timer mode that works in-conjunction with the camera’s face detection technology. The camera will watch the scene until an ‘extra face’ is detected, then start counting down to take up to 10 pictures in a row – it really helps so you don’t have to run to the camera the instant you press the shutter button. Of course there’s the regular 2 and 10 second countdown modes available as well as a custom timer mode which allows you to set the countdown period and number of shots the camera will take. The custom option in the My Colors/Photo Effects area enables you to manually tweak contrast, saturation and sharpness up to +/- 2 in 1 step increments). The PowerShot SX20 has two bracketing modes: one is the usual exposure bracketing feature which allows you to take three shots in a row with different exposure settings. The other mode, focus bracketing is more unusual – the camera will take three photos in a row with different focus settings (one normal, one back-focused, one front-focused) in “small, medium or large” increments. There are no specific indicators of focus distance in bracketing mode. The last two buttons we have are the DISPLAY (which toggles LCD display information) and MENU buttons (to bring up the camera menu). We’re not done yet, there’s more stuff located on the top of the camera. On the left side is a button used for changing the camera’s flash setting; it doubles as a quick access button to voice recording in playback mode. The modes available for the built-in flash include auto, manual, flash on and flash off, redeye reduction and slow sync – there are options to adjust flash power and compensation in the flash menu as well. Next to that is the camera’s built-in flash unit (pulled up manually when you want to use it) along with the flash hotshoe. You can use any external flash with the camera but only Canon-branded units will sync automatically with the camera. The Canon PowerShot SX20 IS can sync as fast as 1/250 sec with an external flash. On the left side of the PowerShot SX20, there’s the speaker and nothing else (there are no more buttons on the camera’s lens barrel). This is the Canon PowerShot SX20’s lens at wide-angle, by the way. This is the PowerShot SX20’s lens at telephoto position. There are little indicators on the lens barrel which show you the lens focal length (in both native and 35 mm equivalent terms). On the right side of the PowerShot SX20, you’ll find the camera’s SD/SDHC memory card slot located under a door of decent quality, plus two pairs of ports located under two different covers. Under the first door is a mini-B port (top) for connecting the camera to your computer as well as a mini HDMI port (button) for hooking up the Canon SX20 to your high-definition television set. Under the second door are two circular ports which look a whole lot like headphone jacks. The one of the left is actually the DC-IN port, used to connecting an external power supply to power the camera, while the port on the right is the stereo A/V Out port for connections to more conventional TV sets. At the bottom of the Canon PowerShot SX20 IS are the camera’s metal tripod mount (which is not in-line with the lens!) and battery compartment. The compartment door is quite sturdy. The Canon PowerShot SX20 IS tells you just about everything you know about still image and movie shooting on-screen (only a battery indicator is missing). There’s exposure and shooting details, a live histogram, zoom indicator, mode position, focus point, compositional gridlines with a 16:9 widescreen framing guide. If all that sounds too intimidating, not to worry, you can customize what you want and don’t want to see in the camera’s menu – you can even have separate settings for the LCD and electronic viewfinder. The 12 megapixel SX20 IS allows you to mix and match from multiple image sizes and compression modes. You can choose to use full 12 MP, 8 MP, 5 MP, 2 MP, VGA and widescreen (8.3 MP) and between Fine and Standard for compression. A 4 GB card will hold around 1,350 Fine photos at full resolution. The ‘Super Fine’ compression option has disappeared and to answer the question “Does the Canon PowerShot SX20 have RAW mode” (that a lot of people have been asking about), the PowerShot SX20 I handled did NOT have a RAW image option. I went around to a few local camera shops to check out their Canon SX20’s and not one had any RAW mode either. The Canon PowerShot SX20 IS is able to brighten dark areas of your photos (at the cost of more noise and some extra processing time) via its iContrast feature. You can also apply iContrast after taking pictures via the playback tool. There’s also a custom “My Menu” where you can add several items of your choice for easy accessibility. You can pick any menu items of your choice and place them in this custom menu, and even opt to set it as the default menu (first thing you see when you press the MENU button). The Canon PowerShot SX20 has Canon’s standard face detection system. The camera can pick up faces looking directly at the camera as well as optionally warn you of any closed eyes in photos (toggle Blink Detection in the menu). There’s also software-based redeye removal which detects and removes any redeye in your people photos (and the system works). The Canon PowerShot SX20 IS features two macro modes. The first “normal” macro option lets you go as close as 10 to 50 cm to a subject at wide-angle while the other mode, called Super Macro mode, lets you go right up against your subject, literally. With a minimum focusing distance of 0 cm (yes, zero), Super Macro mode lets you take close-ups of almost anything you want, provided you have enough lighting around. The only catch is that the lens is locked at wide-angle in Super Macro mode. The photo above was taken with the PowerShot SX20’s lens right up against the subject (in this case, the secondary status display of a Canon EOS SLR). I had to turn on the display backlight in order to photograph it, and yes, backlighting is what you’ll definitely need if you plan to shoot subjects with the lens directly against it (which, of course, blocks out natural light around you). One of the improvements found on the Canon PowerShot SX20 is in its movie department. The camera can now record 720p HD movies, versus VGA clips on the SX10. You can record 1280 x 720 resolution movies at 30 FPS with stereo sound up to 4 GB or 30 minutes per clip (whichever comes first). A 4 GB card will hold about 20 minutes worth of HD video. You can also opt to lower recording size to VGA (640 x 480) or QVGA (320 x 240) to extend recording times. The 4 GB per clip file size limitation remains but the time limit per clip goes up to a maximum of 1 hour if you choose any of these two lower settings. Movies are still recorded at 30 FPS with stereo sound and a 4 GB card will hold 45 minutes worth of VGA movies. Regardless of setting, movies are recorded in the efficient H.264 codec and the camera allows you to use both optical + digital zoom and optical image stabilization while recording. Continuous focusing is also available. The Ultrasonic Motor lens drive comes in handy here as the lens operates very silently so the PowerShot SX20’s dual microphones don’t pick up any unwanted noise. You can also play around with the microphone sensitivity level and toggle the camera’s wind filter if you like. The PowerShot SX20’s predecessors have consistently been the top few ‘hybrid’ photo+movie cameras in the market from year to year and the SX20 takes things one step further by including a 720p HD movie mode here. Overall quality of video and audio were both very good. For most people, the PowerShot SX20 and its 720p movie mode is more than enough for most purposes, but just a side note here: the more expensive Canon PowerShot SX1 is able to record full HD 1080p movies. All performance testing of the Canon PowerShot SX20 IS was performed using a high-speed 4 GB SanDisk Extreme III SDHC card. The Canon PowerShot SX20 boots up quite quickly, in about 1.4 seconds. Focusing speed with good light around typically takes 0.2 to 0.4 seconds at wide-angle; more towards 0.4 to 0.6 seconds at telephoto. In low-light, focusing time can vary from 0.4 to 0.8 seconds in the 1-10X zoom range and going above 1 second as you go above the 12X zoom range. The good news is the SX20 was pretty good and accurate at focusing most of the time, save low-light situations at telephoto where it’s hard to lock focus. If you want better low-light focusing, more flash power and/or faster flash cycle times, consider picking up an external flash to use with the camera. I did notice the camera hunted less when focusing using the AF-assist solution of an external flash. The SX20 IS has three continuous shooting modes; all of which allow you to shoot continuously at full 10 megapixels until the memory card fills up. Normal mode is your typical continuous shooting mode that shoots at a little over 1 frame per second. Continuous AF and Continuous Live View (LV) shoot at the same 0.8 frames per second – with Continuous AF refocusing between shots and Continuous LV keeping the live preview image on the screen. Zooming action is exactly the same as the SX1 and SX10, seeing Canon’s three super-zoom models share the same 20X lens. The lens’ Ultrasonic Motor allows you to select between two zooming speeds, depending on how much pressure you put on the controller. You can be really precise in low-speed mode, while high-speed zoom gets you from wide-angle to full telephoto in a mere 1.5 seconds. Shut down time was just as fast, taking roughly two seconds to retract the lens from telephoto and power off. Overall, the Canon PowerShot SX20 performed almost identically to its sibling, the SX10 – quick on its feet in terms of focusing, startup, shutdown and zooming. Shot-to-shot and continuous shooting speeds (Down to 1.0 FPS from 1.4 FPS in normal mode) have both slowed down slightly, though the camera is still just as fast (or still faster, in some cases) compared to most of the competition. The camera still feels pretty darn fast in most cases. Focusing, however, does get thrown off if you shoot at telephoto in low-light. If you need high continuous shooting frame rates, you’ll have to settle for the CMOS-wielding PowerShot SX1. As you might expect from any digital camera, the Canon PowerShot SX20 IS takes some pretty clean photos at ISO 80. Going up to ISO 100, there’s a wee bit more ‘speckle’ noise and just slightly more at ISO 200. Photos from ISO 80 to 200 should print out just fine, up to large sizes with plenty of details and nicely saturated colors. At ISO 400, noise doesn’t increase significantly because noise reduction steps in to keep pictures clean. However, the noise reduction done by the PowerShot SX20 does introduce some image softness and loss in fine details. Noise goes up at ISO 800, limiting you to mid-sized prints, and up again at ISO 1600, this time with saturation loss and increased softness. The ISO 3200 setting is available as a ‘scene mode’ (called ISO 3200 mode). The PowerShot SX20 shows some mild lens distortion in its photos. Chromatic aberration (color fringing) and edge softness were both pretty prominent, though you could remove the latter using computer software. Redeye and vignetting were both not issues. With the exception of the lens flaws mentioned above – fringing, edge softness and some distortion – the Canon PowerShot SX20 takes vivid and sharp photos with relatively low noise. Image quality isn’t much worse than its predecessor, as you’ll see below in some comparison crops, and image quality is generally usable up to ISO 800. If you don’t mind being forced to stay with small prints, you could go even higher. The camera’s noise reduction no doubt makes images softer and muddier, but I appreciate that it doesn’t introduce artifacts or color bleeding like in some competing cameras – this makes pictures still ‘printable’. The PowerShot SX20 seems to be producing cleaner images than the SX10, despite packing more megapixels. It’s probably due to an increase in noise reduction, but images do look a touch softer on the SX20. Same thing as above. Cleaner yet softer (muddy details) pictures on the SX20. Seeing that high ISO is where all the action is, I took the crops from my PowerShot SX10 review and compared them to the ones taken with the SX20 here. When ‘zoomed out’, the difference between the two cameras is subtle, not noticeable if you’re making medium to moderately large sized prints or using such photos as your desktop wallpaper. Upon close inspection at 100%, you’ll notice that the PowerShot SX20 uses more noise reduction (at the cost of image sharpness), yet introduces less artifacts than the SX10. Check out full-sized, unedited photos taken straight out of the camera in the Canon PowerShot SX20 IS photo gallery. The Canon PowerShot SX20 IS has the same, very good playback mode as the PowerShot SX10. You can view your photos (complete with transition effects as you browse through them) and play back videos with sound. Basic functions like print marking, image protection, rotation, trimming and resizing are present, so is image magnification (up to 10X) and fancy slideshows. You can view the pictures you’ve taken as individual photos, in sets of thumbnails (you can now select between 4 to 130 images to be viewed at one go), by category or date. Rotating the rear command dial allows you to scroll through 3 pictures at one go. Pictures can be deleted one-by-one, by range, date, category, folder or all images. The camera includes the ability to categorize your photos as well as three image editing features. You can brighten photos (iContrast), remove redeye or apply My Colors effects (The ones I mentioned in the Function menu) to photos. There are no editing movie tools however, besides a simple ‘trim’ function. The Canon PowerShot SX20 IS shows shooting details, mode, exposure information (with shutter speed and aperture value) and a brightness histogram in playback. There’s also an overexposure alert feature which “blinks” overexposed areas of your photos to warn you about them. If you liked the Canon PowerShot SX10, that I reviewed earlier this year, then either you’ll be more pleased or disappointed with the PowerShot SX20 IS, depending on how you look at things. The Canon PowerShot SX20 IS brings forward the same features of its 10 megapixel sibling, including the 20X optically-stabilized zoom lens, full suite of manual controls, flip-out and rotate 2.5 inch LCD, class-leading battery life; and throws in a few small changes. Ergonomics and build quality remains very good – the PowerShot SX20 IS is well built and easy to hold. There’s plenty of buttons (not TOO many, though) which may intimidate first time users but you’ll learn to appreciate that many options and settings can be changed with minimal menu-surfing. There’s also a customizable shortcut button, a custom mode spot, to which you can assign your own settings and a “My Menu” section to hold your favorite menu items. However, I didn’t like the fact that the rotary wheel around the camera’s navigation pad gave very little tactile ‘clicks’ and the tripod mount not being in-line with the lens may bother those who want to twirl the camera around on the tripod. The Canon PowerShot SX20 has a suite of manual controls, which includes full control over exposure, flash and a custom white balance option. You can also opt to attach an external flash to the camera for additional flash power or better autofocus assist. The PowerShot SX20 does disappoint, however, in the sense that it does NOT have any RAW mode (at least on this unit, and those I checked out in local camera stores) – right now, we can safely assume that Canon wants you to pony up for the SX1 if you want RAW, unless they come up with a firmware update for the SX20 in the future. For those not too used to messing around with camera settings, there are plenty of scene modes and automatic functions as well. Face detection, blink detection, full auto shooting – those features are here. The PowerShot SX20 also has an excellent macro mode for everyone. The camera’s macro mode allows you to go right up against your subject, provided you have enough (External) lighting of course. One of the three main changes on the PowerShot SX20 is found in the movie department. The Canon SX20 features a step-up in movie recording resolution; you can now record 720p HD video with stereo sound. Other things that made the movie recording experience on its predecessors great remain here – the ability to use optical zoom, optical image stabilization, adjust microphone sensitivity and toggle the wind filter. Picture taking performance was above average, very speedy compared to other super-zoom cameras, though the increase in megapixels (hence, file sizes) took its toll on burst speed. Image quality was generally quite clean, there isn’t a much difference or increase in noise compared to its predecessor, despite the increase in megapixel count, which is change number 2 on the SX20. Image resolution is now 12 megapixels, up from ten on the old camera, and image quality still does pretty well up to ISO 800. You could make large prints with ISO 400 photos, or small ones if you want to push ISO to 1600 or 3200. Redeye was a non-issue too, and colors were very nicely saturated. The only bad things are the prominent color fringing and edge softness in photos (the latter is removable in your computer), that’s expected from a lens covering such a large range. The Canon PowerShot SX20 is essentially the same camera as the SX10, plus three ‘big’ new features: increase in megapixels to twelve, 720p HD movie mode (and a HDMI port) and ‘hints and tips’ for beginners. If you’d like to take pictures, plus record high resolution video now and then without buying a separate camcorder, then the PowerShot SX20 offers possibly the best bang-for-buck for a HD-hybrid camera. If your focus is on slightly faster still picture shooting or lower price, then consider the old PowerShot SX10. 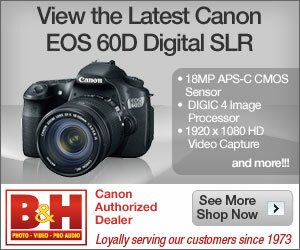 Hi Brad I’m deciding between the Canon sx20 and the Sony hx1. They are priced about the same now so that makes me more confused. Why is the sony so much cheaper? Is it because its not a good camera? Which is the better camera for everday use and videoing my sons football games. Also i know the Canon sx20 lets you take a picture while you are zoomed in and videoing, does the Sony hx1 let you do that? Thanks for your help. This camera is very cool, my friend has it and I like to play with it. While the images are crystal clear that visor thingie sticking out always makes me nervous. I am not totally in agreement with the review you provided on Canon SX20 IS. Your reviews was one of the reasons for my purchasing this camera but as it has come out, the camera is not as good as it is rated. The picture quality is below average and my canon A710 IS performs better as far as image quality is concerned. The bottom line is a camera is as good as its picture quality and other features like zoom and flex LCD do not matter. Average camera, not worth the money. Hi Maninder, perhaps you have received a unit of the camera that performs below averagely (ie a bad/lemon unit). Maybe you could try comparing it to another SX20 at a local shop and, if required, have your SX20 exchanged for a new unit? SX20IS IS THE BEST CAMERA AVAILABLE IN MARKET IN THE RANGE OF SUPERZOOM DSLRs, THE BEST THING IS YOU CAN TAKE SUPER MACRO SHOT FROM EVEN THE DISTANCE OF OVER 0C.M. & THE OPTICAL IMAGE STABLIZER IS THE VERY HELPFULL WHILE TAKING SHOTS. Well, in my case, I read a lot about this new Canon release before to purchase it, and upgrade my camara. I have been owner of the S3 and S5, which I was completely fullfitted with its performance, despite of hear about the poor quality pictures, I ( Trusting on Canon’s team ), bought the camara …… and ….. COMPLETELY DISAPOINTMENT !!!! Doesn’t matter how you program it, the resulting photos are with really poor quality, and night pictures are worse. I had a sx10 and I bought a 450d … now i’ve checked the sx20 and asside the video part, I see no big diference to the sx10 … for me, it is a 5* camera … if you want more sharp, go to a reflex instead (but get ready to spend money on lens). sx20 (and sx10) are cool cameras if we consider the value 4 the money and I do have cristal clear and sharp photos from my sx10 … I miss the zoom (no even my 70-200is 1500€ L canon lens covers). Just to finish … you all, who claim that those cameras are garbige … should practice on photos first before posting this way. How closer a camera is to a professional cam, how more squils are quired to get good shots … I am sure that for you guys would be easyer to get good photos with a ixus instead. This Canon SX20IS camera I bought really disappointed me, picture is not sharp at all, color very dull. My old camera Olympus c-760 only 3.2 megapixel is much much better, nice color and sharp picture. I really regretted buying it. Now I do not what to do with it, make me feel reluctant to take photo. Is there any firmware to upgrade and improve its performance, Canon please help, otherwise I will not buy Canon again. I was playing around with my SX20is today and I seemed to have run into a problem. On the top of the screen it says card locked and the shutter doesn’t work. What did I do wrong? Solved it. The little white tab on the memory card slid into the locked position. I use this package only for the RAW feature. But it is really worth installing in the memory chip. Now I really enjoy the pictures. canon sx20 or canon sx 210? i love this canon sx20is powershot. i have excellant pictures with the combination of the camera and my software to print my pics. i am disabled and have a hard time with things and this camera is so easy to use. would recommend to anyone.